A lot of days, lunch is the hardest meal for me to wrap my head around. I don’t usually plan what I’m going to make for lunch so it’s a lot of opening the fridge and piecing something quick together from what I find there. 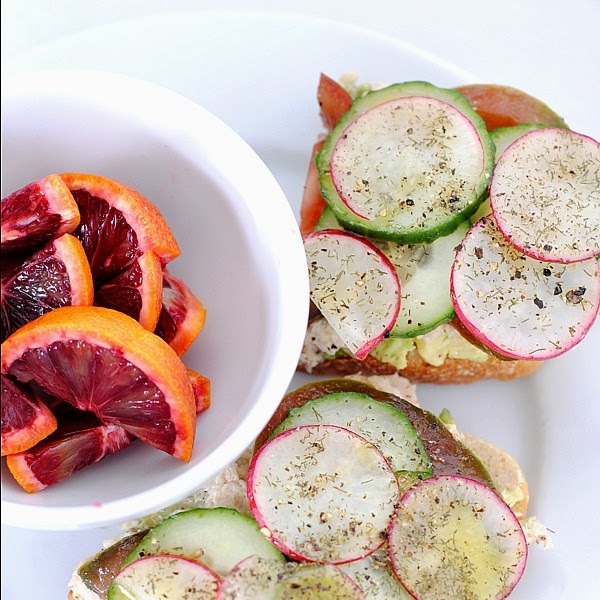 My favorite way to do this and still get a healthy lunch is to layer a pile of veggies and other fixings on top of a slice of toasted bread – also known as a tartine. 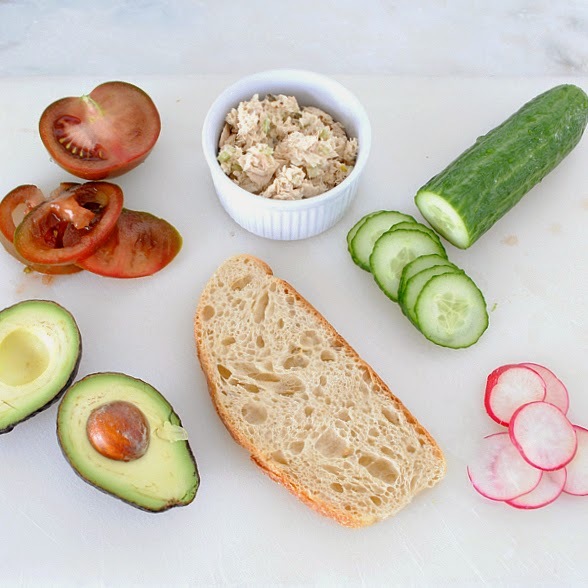 The possibilities are practically endless, but today I’m sharing a recent favorite – tuna and avocado with cucumber, tomato, radish, and dill. This beautiful lunch is so quick to put together – just gather up your ingredients and start layering! For the tuna, I drained a can of tuna in olive oil (SO much more flavor than tuna in water) and mixed it with a little mayo, some dijon mustard, chopped dill pickles, diced celery, and a little lemon juice. No recipe really, just add them in to your taste. 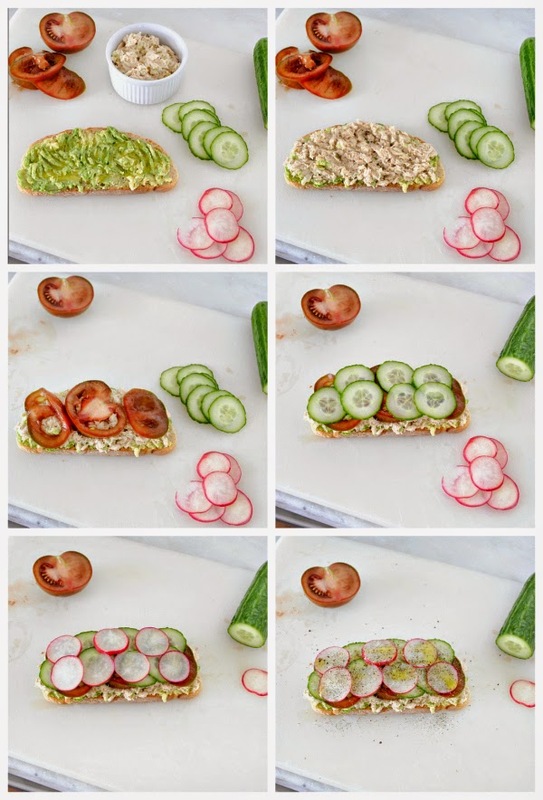 The order you layer the ingredients doesn’t really matter, but I smash the avocado on the toast first, then layer tuna, tomato, cucumber, radish, drizzle with olive oil and finish with a sprinkle of kosher salt, fresh ground pepper, and dill. It’s so creamy, and fresh, and delicious, and I love how colorful it is. Do you like to eat pretty food? I do :) Sitting down to a lunch like this really makes me feel energized to take on the rest of the day. It’s filling but doesn’t make me feel like I need a nap afterwards. 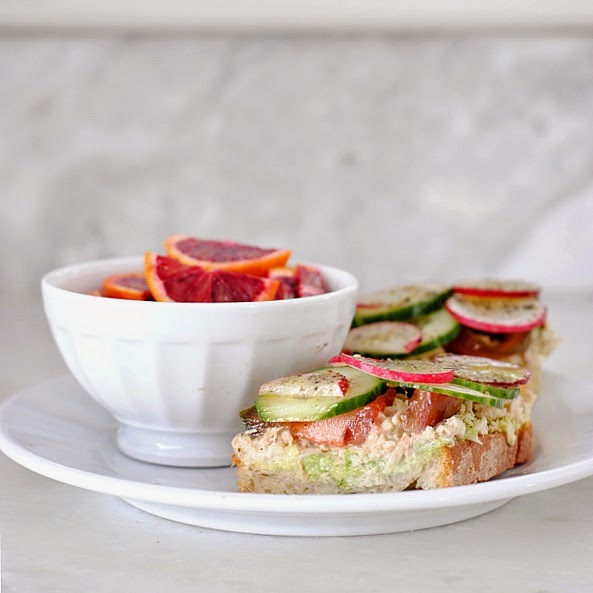 Are you a fan of the tartine? 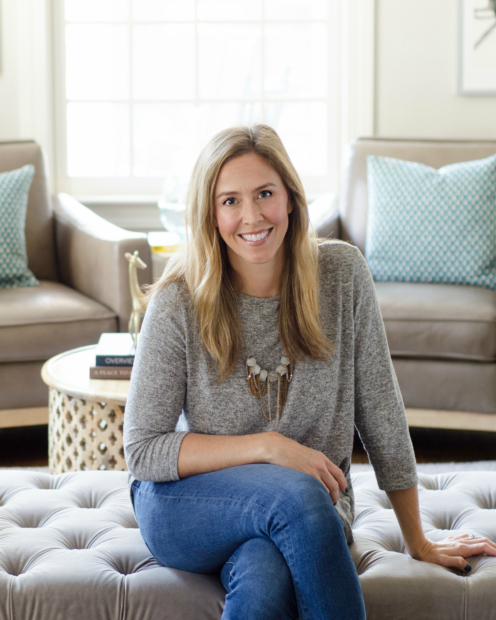 Tell me your favorites – I’ll layer anything on a piece of toast! 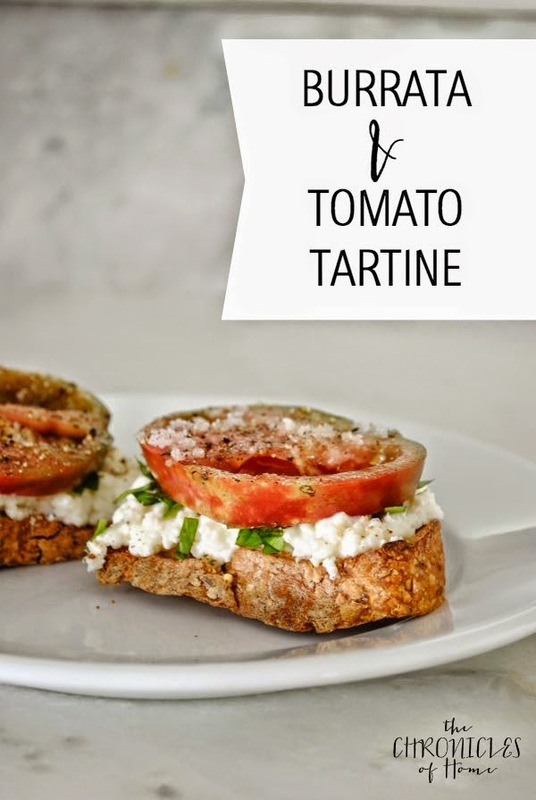 Here’s another favorite tartine of mine, too – burrata and tomato tartine! 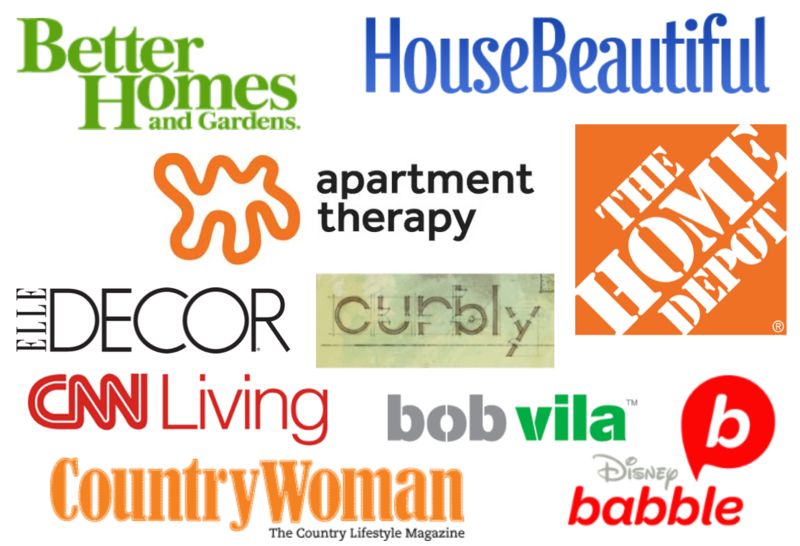 « The Inspiration Gallery – a Weekly Link Party!